Construct three-dimensional representations of chemical compounds with these durable, yet inexpensive student molecular model parts. Replace missing pieces from your model sets, or construct your own from the available replacement model pieces. 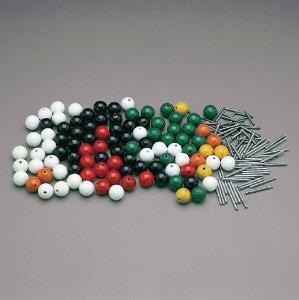 Color-coded wood balls represent atoms. Springs are used to represent multiple and cyclic bonds. 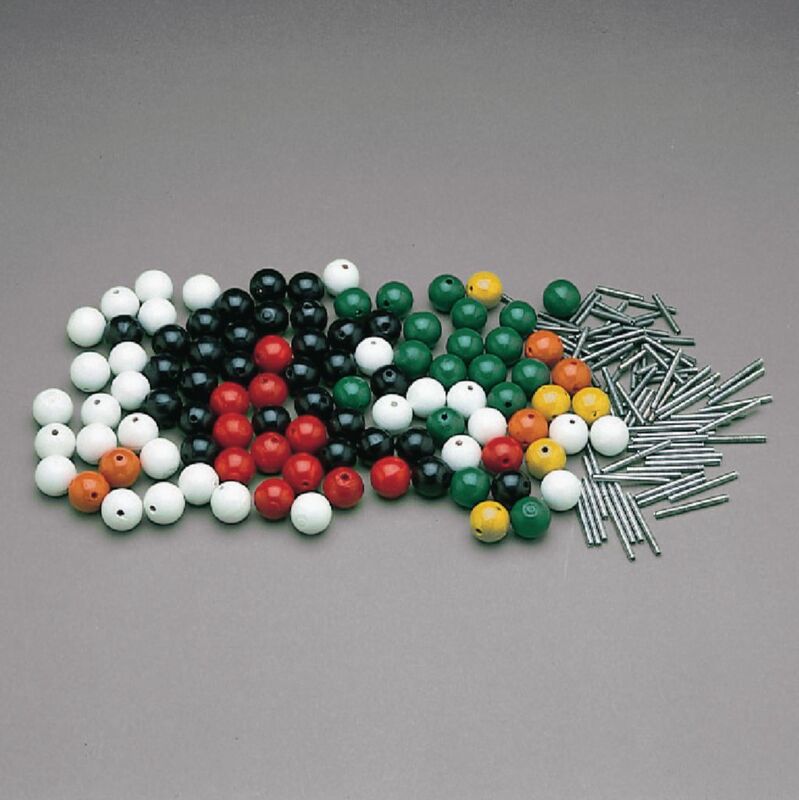 The balls are 2 cm in diameter and are drilled in order to accept the springs, which are 3 mm in diameter. WARNING: CHOKING HAZARD- Small Parts. Not Intended for Small Children.